Requesting new flag for Yiddish! It bears the Israel flag, but Yiddish language theaters were banned there in the 1950's! The change of flag isn't totally necessary at the moment, but it should be something you bear in mind. Re: Requesting new flag for Yiddish! What would you suggest as an alternative? Any choice of a flag would be inherently problematic. Omg, I'm not sure I even realized until now that the Jewish Daily Forward still exists! That's cool though. So apparently the most appropriate symbol, if one really has to be used, would be something like this? vijayjohn wrote: So apparently the most appropriate symbol, if one really has to be used, would be something like this? Any Yiddish flag will need representation of all of the labor bundts that organized and fought for rights finally squelched by nazis." TBH, that would look pretty awesome. Okay, I thought I knew a fair amount about Jewish culture, but what is the symbolism of the golden peacock? What does it have to do with Jews, Judaism or Yiddish in particular? I don't get it. I see why it's problematic to use the flag of a country which tried to suppress the language but also, it's the only Jewish state and there are a lot of Yiddish speakers there. I don't see a good alternative. The flag with the menorah was just made up by some guy. At least the Israeli flag is a real national symbol (plus it contains the Star of David, which is an even more widely used symbol of Jews than the menorah is). 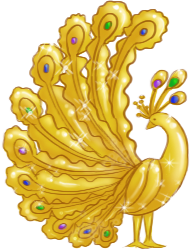 mōdgethanc wrote: Okay, I thought I knew a fair amount about Jewish culture, but what is the symbolism of the golden peacock? What does it have to do with Jews, Judaism or Yiddish in particular? I don't get it. There's still the problem that a) that's not a flag and b) I think its meaning would be opaque even to many Yiddish speakers.